I have a bit of an obsession with Alice in Wonderland. It started with the original Disney movie, continued through the book, and into the Tim Burton rendition. I just love the creativity and the free spirited feel of the story. This fashion shoot was styled by Alice Giannini. I also love these key chains, bracelets, and necklaces done by justbedesigns. 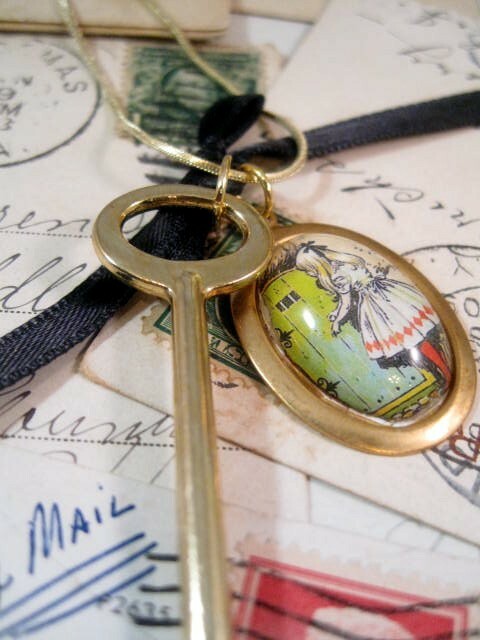 This vintage key necklace was handmade. 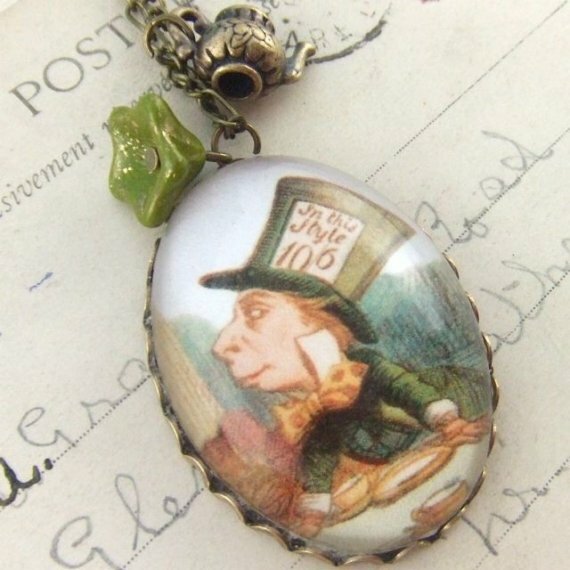 the image on this necklace is of Alice trying to open the door at the bottom of the rabbit hole, to make her way into Wonderland, a place that I have long been fascinated with. This story incorperates all of my favorite things, intrigue, whimsicality, and pure imagination. I’m a bit obsessed with these pieces to be honest. They are just so pretty and interesting! I thought the bracelet was especially nice. I’ve never seen anything like it!